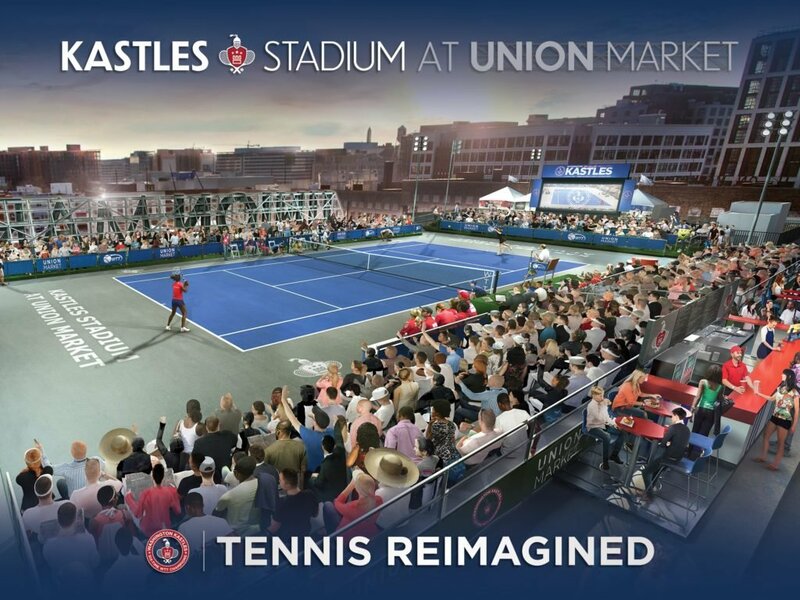 Washington’s pro tennis team, the Kastles, will play their 2019 summer season on the rooftop of Northeast DC’s Union Market, team owner Mark Ein announced Friday. Jodie McLean, CEO of Union Market’s developer EDENS, and Ward 5 council member Kenyan McDuffie joined Ein in announcing the news. The first match, featuring Maryland native Frances Tiafoe, will be played July 15. Venus Williams and Nick Kyrgios will also play during the season, which lasts until July 29. During this summer’s matches, fans will be able to choose from typical stadium seats, VIP tables, and courtside boxes. The Kastles have played their previous four seasons indoors at George Washington University. For tickets, visit washingtonkastles.com or call 202-483-6647.